William Balthazar Solan has ruled for eons beyond imagining, always alone as he watches over the spaces between the seconds. But thousands of years ago, Fate created a very special woman. In her William saw a different kind of history, and a rule that was not alone. Her name was Helena. They fell in love. But Fate wasn’t finished. Helena is only half of its design. The other half is a six-foot-six blond with cold blue eyes and a taste for blood, Helena’s blood in particular. William and Helena have spent the last few millennia locked in a terrible loop of love and loss as they struggle to be together in the face of a formidable darkness bent on possessing Helena for himself. But now the chessboard has been turned, the pieces moved. Universes have collided, dimensions have slammed together, and in this new world Fate has no power. This is William’s chance to finally set things right. All he has to do is convince a woman who doesn’t know or trust him that she’s his long lost love, stop ancient and powerful enemies from destroying the entire planet, and keep Cain from sinking his teeth into Helena all over again. And unfortunately, in this new world William is also running out of time. 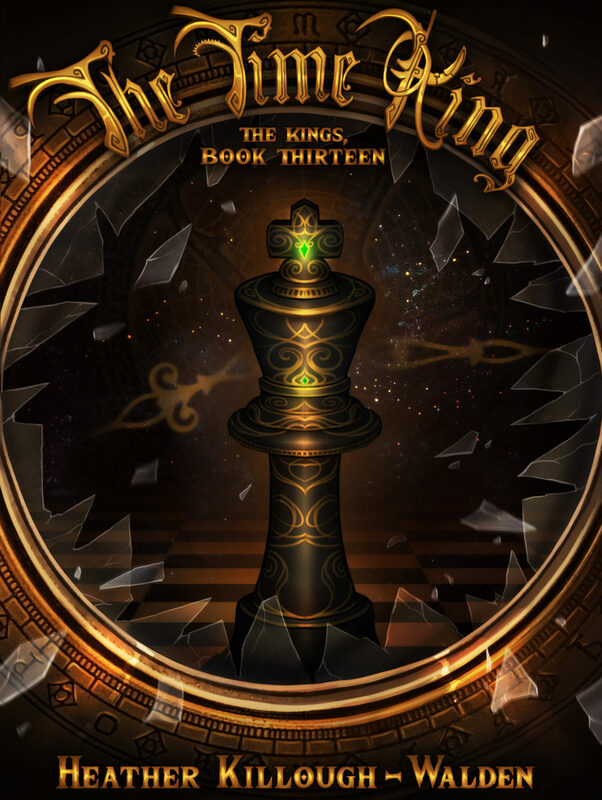 The Time King is the highly anticipated, breathlessly awaited thirteenth and final installment of The Kings series, by NYT and USA Today bestselling paranormal romance author, Heather Killough-Walden.